Monterey Car Week is officially here! This exciting week is jam-packed with all sorts of classic car shows, high-end car auctions, and historic automobile races all leading up the Pebble Beach Concours d’Elegance. On Sunday 200 of the best collector cars in the world roll onto the legendary 18th fairway of Pebble Beach Golf Links to compete in “Best of Show.” Wednesday-Sunday. Various locations and entry fees. Click here for a full list of events and travel alerts. This weekend head over to the Golden Bough Playhouse in Carmel-by-the-Sea for a rocking good time of Buddy & Company’s British Invasion. This stellar night will be full of classic covers from Buddy Holly, The Beatles, Little Richard and more. Friday and Saturday at 7:30pm and Sunday at 2pm. Monte Verde between 8th and 9th, Carmel-by-the-Sea. $8-$42. Kick of the weekend with a free concert at Carmel Plaza. Tonight Red Beans & Rice takes the stage with a food and wine package hosted by Eddison & Melrose, Cowgirl Winery & Georis Winery. 5pm-7pm. Ocean Avenue and Mission Street, Carmel-by-the-Sea. Free event, $15 for food and wine ticket. Head to Fernwood Tavern in Big Sur tonight for a free performance from the Post Street Rhythm Peddlers. This seven-piece jazz band includes a piano, banjo, drums, bass, and a combo of trumpet, clarinet, trombone, violin, with sassy female vocals at the helm. 10pm. 47200 Highway 1, Big Sur. Free event. 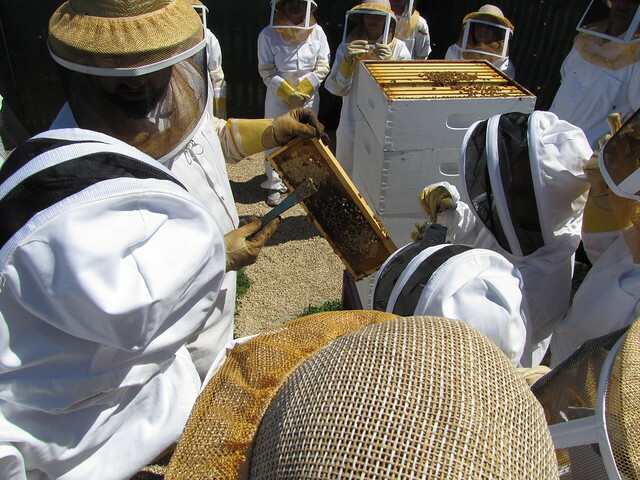 Be a bee keeper for a day and experience the secret life of bees. The “Bee Experience” at Carmel Lavender will get you suited up to explore the social behaviors that make bees unique and productive. 11:30am-1pm. Tassajara Road & Parrot Ranch Road. $65 for adults and $20 for children. Relish what’s left of the weekend with live music at The Wine Experience on Cannery Row. Grab a glass of wine and enjoy a rockin’ good time with Fred McCarty. 3pm-6pm. 381 Cannery Row, Monterey. Free event.